In 1993, the young vocalist took her music to another level when she went on tour with reggae icons, The Wailing Souls. This tour afforded her the privilege of working with music legends such as Carlos Santana and Bob Dylan. The group also opened for acts such as 10.000 Maniacs while on the road. Lynette continued to travel internationally with Marky Mark and Prince Ital Joe on their Life in the Streets tour. Lynette has been involved in a wide range of freelance vocal work. She was featured in the theme song for NBC’s Smart Guy, and sang lead vocals in “One Love” for Universal Pictures’, “Fear”, starring Mark Wahlberg and Reese Witherspoon. “Have a Good Time” from Romy and Michelle’s High School Reunion is another of her credits. One of the young singers’ most notable accomplishments was her work on “Hakuna Matata” sung by Jimmy Cliff for Walt Disney’s, “The Lion King”. Bound by Honor is another Disney project that Lynette took part in. The scope of work the artist has been broaden to include rap artists such as Mr. Grimm and Def Jef as well as RCA’s female pop group, Wild Orchid. Another of Lynette’s notable accomplishments is the reggae music legend, Bob Marley’s album, “Soul Almighty” that she was featured on. 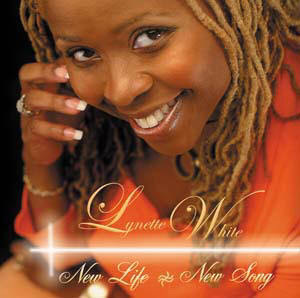 Lynette is committed to her desire to create music that appeals to multi-cultural people such as herself that want to hear Zion’s praises sang with a world-beat rhythm and a soulful melody. This desire came to fruition in 2004 with the independent release of her first solo LP entitled, I Will Lift My Voice. In 2006, the sophomore effort was recognized with two Marlin Awards nominations. New Life, New Song, her latest release promises to deliver more soul stirring, feel good, Caribbean praise to diverse audiences all over the world. Jimmy Lalla - "I Follow The Cross"